People in careers that revolve around helping others are often the worst at maintaining a healthy work-life balance. Healthcare workers are some of the most challenged employees when it comes to self-care, yet they spend every day helping others with health challenges. It seems to be a common personality trait among those driven to help others that they put others first. Yet time and again we have all seen that if we take care of ourselves, we can actually help others more. In this three-part article, we will speak with two healthcare professionals who are experts in teaching work life balance. But first, we will set the groundwork by exploring the fundamentals. If you have a full-time job, your work is your life because it takes up a significant portion of your waking hours. The best way to understand this is to do some quick math. There are 120 hours between Monday and Friday. Assuming you only sleep for six hours per night, you have 90 waking hours left — 40 of which you will be working, leaving you 50 hours of personal time. This may sound good, but that is a small bank of time to fit in eating, brushing your teeth, maybe exercise? Add kids, pets and significant others, and your personal time between Monday and Friday becomes pretty limited. Oh, by the way, we still have not included your commute, and we assumed you literally worked for only 40 hours. When you sit down and really add it all up, it becomes clear why things pile up and weekends become a time for overflow work instead of a break to get ready for the next week. 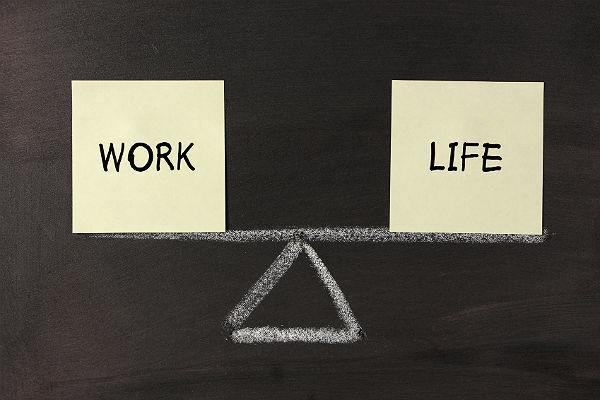 Work-life balance is not all about hours and clearly defined schedules. It starts there to provide you with a baseline reality check of where your time goes. But then it evolves into a more qualitative assessment of how you spend your time and whether that reflects your priorities. For example, one person might work because it is easy, close to their house and helps them pay the bills while letting them spend time with their children at night. While another might work long hours, with a big commute for a high-paying job because she is driven to become a leader in the organization so she can help people on a larger scale. Both could have successful work-life balance because achieving balance is more about understanding how you are spending your time and continuing to intentionally make choices that reflect your priorities. Understanding work-life balance can help you reduce stress, be more successful in your career and achieve the goals you want personally and professionally. It can help you help more people and perhaps make a greater impact on the people around you. In our next two articles, we will learn specific challenges associated with implementing a better balance in the healthcare field. We will also look at some more practical, tangible steps you can take quickly. In the meantime, count your hours and figure out where you are spending your valuable time.